WASHINGTON, D.C. – U.S. 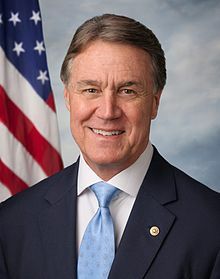 Senator David Perdue (R-GA) spoke with Steve Hilton on Fox News Channel’s The Next Revolution With Steve Hilton about the Reforming American Immigration for a Strong Economy (RAISE) Act and why it should be included in any solution to fix our country’s immigration problems. WASHINGTON, D.C. – U.S. Senator David Perdue (R-GA) spoke with ‎Ainsley Earhardt, Steve Doocy, and Pete Hegseth on Fox News Channel’s Fox & Friends about the Reforming American Immigration for a Strong Economy (RAISE) Act and why it should be included in any solution to fix our country’s immigration problems. WASHINGTON—Rep. Doug Collins (R-Ga.), Vice Chair of the House Republican Conference, joined “Happening Now” with Jon Scott today to discuss the progress Congress has made towards sending a tax reform bill to the president.